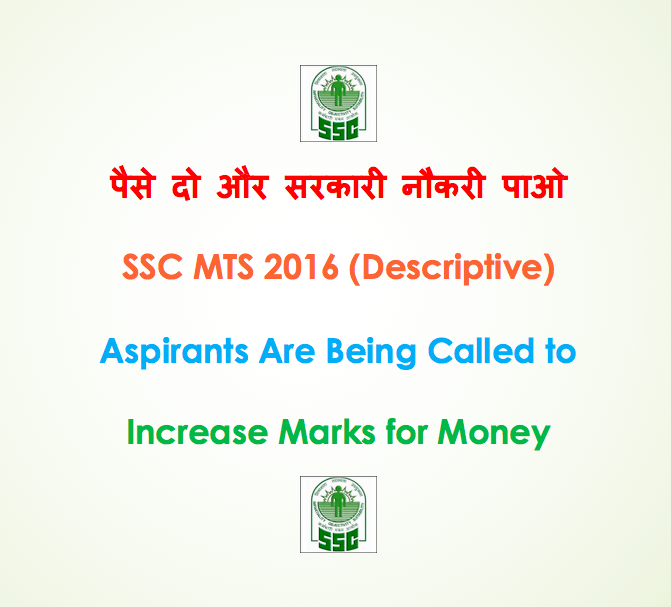 Today (13.02.2018), Team Qmaths was approached by a candidate, stating that he had been called for money to increase his marks and ensure selection in SSC MTS 2016 Examination. We advised him to record the call and gather as much details as he could. 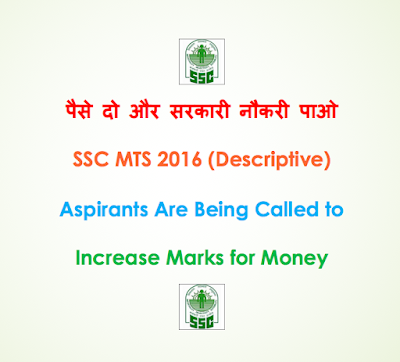 It is to inform all our readers that some miscreants are fooling unemployed youth in the name of increasing scores in SSC Exams. Team Qmaths Advice you all not to pay any money and if possible record their audio, and also take their ac numbers of other relevant information etc which will help police to catch these culprits. Below is the audio recording the aspirant managed to record. We have muted the personal details like Roll No., Ticket No., DoB, but we have verified the same at our end from SSC official result. The Accused may or may not be SSC Staff, but the most important thing candidates need to do is report such calls to local police station and never to pay any amount of money. This type of money calls are nothing new and a Similar case was published by DAINIK BHASKAR Recently. After publishing this post some more candidates came forward and stated that they have received similar kind of offerings. If you have ever received such calls please let us know about in through comments or via mail at qmaths.in@gmail.com.